Whomp whomp. There're no Bay Fog Brawler (blue)s for sale. Bay Fog Brawler (blue) by Scribe. Comes with artist card and figure. A pretty cool piece. 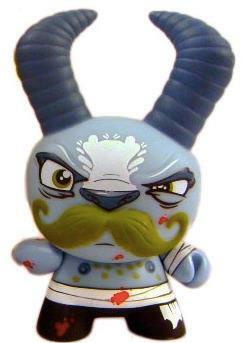 The horns are a creative and interesting use of the Dunny's ears, and the 3D mustache is nice as well.